Botanic planet offers a convenient size 60ml carrier oils kit for friends/family, beginners, hobbyist, aromatherapist or massage therapist. The kit contains our most popular carrier oils, Avocado, Aloe Vera, Coconut Fractionated and Pomegranate. 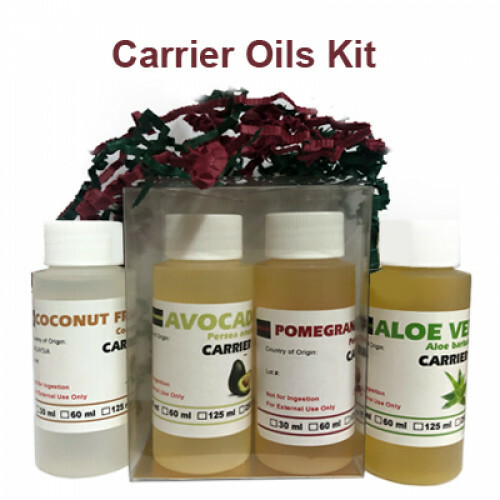 These carriers can be used directly on the skin or can be blended in any cosmetics or with essential oils for your own special blends for massage. The kit includes the following four oils. The kit contains our most popular carrier oils, Avocado, Aloe Vera, Coconut Fractionated and Pomegranate.